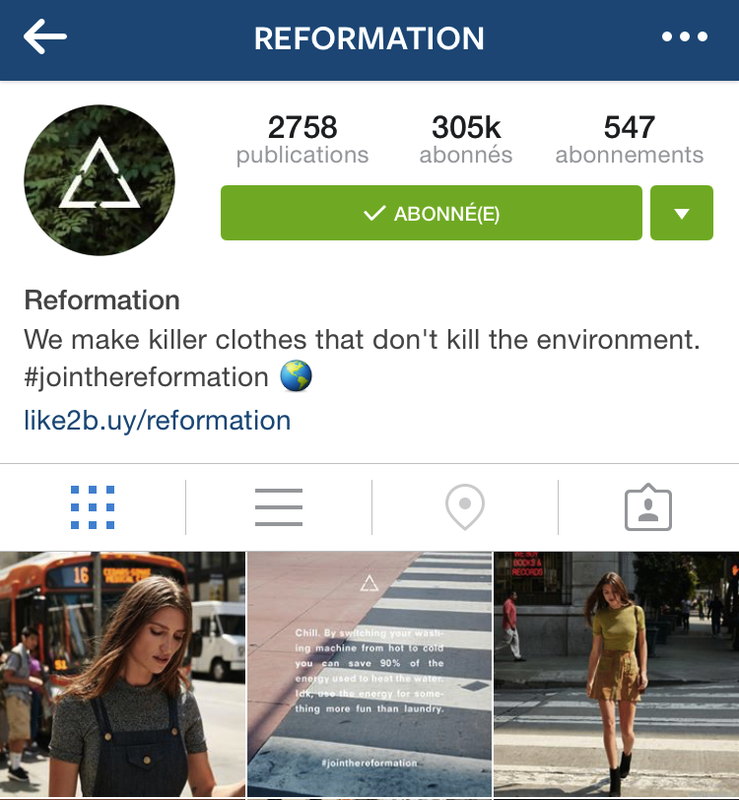 How instagram-native brands are making millions on mobile? Who could have imagined that the cool photography app, that made the square format fashionable again and democratized filters in mobile photography five years ago would become the favorite social media playground of brands and celebrities? Have you seen this brand on Instagram? I see more and more what I call “Instagram-native brands” that have emerged over the last years and that are now growing exponentially just with this network. Not so much in Europe yet but a lot in Asia, Australia and now in the US. These brands often have a small range of products; they are not too expensive and address huge markets. The teams behind them have understood how to communicate with people on mobile devices, and they are super talented brand specialists. Contrary to most of the e-commerce players, the first concern of these companies isn’t SEO, software engineering, webdesign, payments, or logistics — they just put all their energy into having a great product marketing, photography, storytelling and branding that can match their niche audience on mobile. Triangl Swimwear, an Australian swimwear brand founded in 2013 which had $25m of revenues in 2014, projecting over $60m this year is now reaching a following of 2,7M people on Instagram, . This brand has launched the trend of the neoprene bikini in the US and Europe: even the biggest players in the industry like Victoria’s Secret are now developing their own fluo neoprene lines. 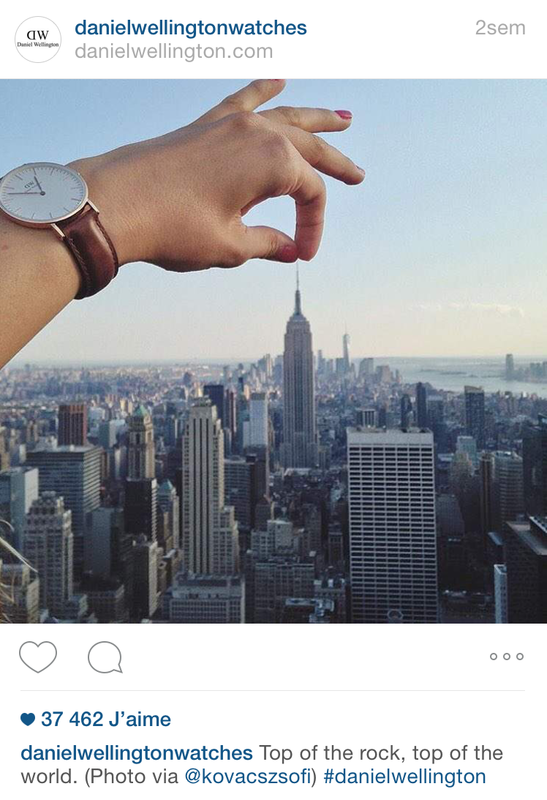 Daniel Wellington, a Swedish maker of watches manufactured in China, is now reaching $200M in revenue (online and retail) and has now 1,7M posts in instagram on the #danielwellington hashtag and is constantly encouraging its community to post pictures of its products. 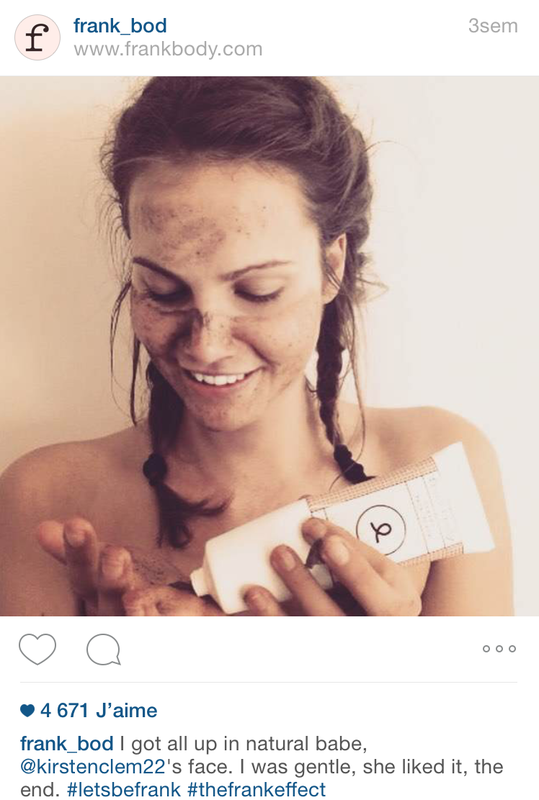 - Frank Body, an Australian cosmetic brand selling a coffee-based bodyscrub founded by Willow and Black agency is said to have a $20M runrate and reaching nearly 700k followers. Dirty Lemon Detox -just launching, a Brooklyn-based beverage company, that just announced their “Instagram launch” in june is distributing cold-press detox juice online. 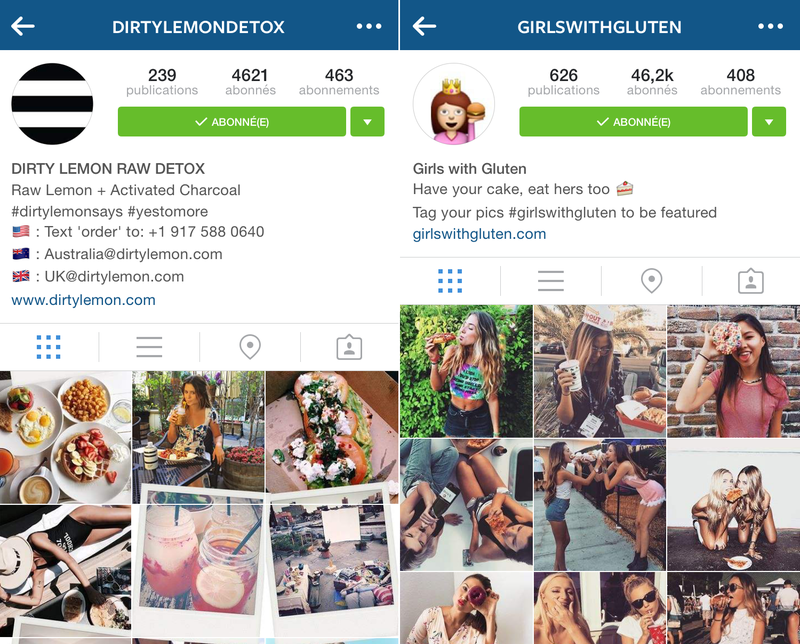 They have put instagram at the center of their communication strategy launching at the same time the #girlswithgluten and @girlswithgluten viral account (where you are likely to discover funny pictures of half –naked-babes covered with pizzas). 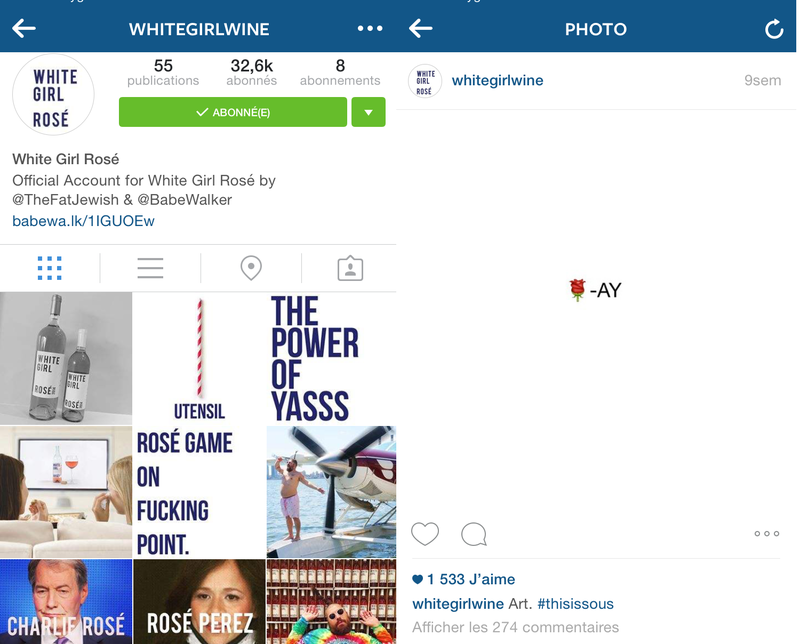 White girl rosé, a wine brand launched last year and endorsed by instagram star @thefatjew is hitting 3500 pictures posted on #whitegirlrose, 35k followers and becoming the new cool drink to buy in NYC. They have 1 single product (a bottle of rosé, with a lot of humor) just put a link to one of their online distributor. These brands have made instagram their #1 online acquisition channel, boutique, and social network at the same time — a lot ahead of Facebook, Twitter, or any other social network. What is fun with Instagram-native brands is that you will hardly find them on Google or Even on Facebook. It is a completely horizontal network where you will find them because someone else mentioned them to you, or because a person in your feed showed the product. 2015 has also been the year where media called for the first time the term “Instagram stars” and described the “millionaire club” aka. people that have more than 1 million followers on instagram. - Kylie Jenner number of followersnow equals 33 million people — 10% of the US population or one third of the superbowl audience — that watch her pictures and react every day. International fashion brands have been featured a lot on her account. 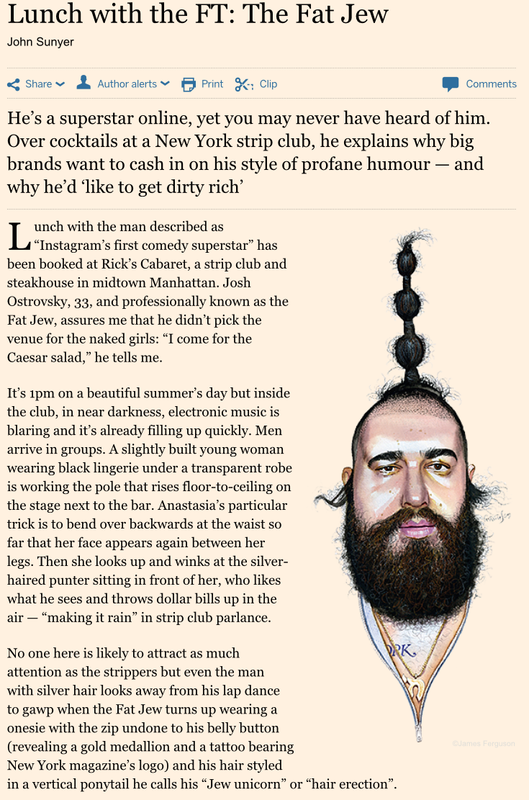 The Fat Jew, an Instagram humourist who just post jokes every day, was interviewed in the classic “Lunch with the FT” last month where you are likely to read interviews of high-profile figures in business, politics, the arts, science and more. 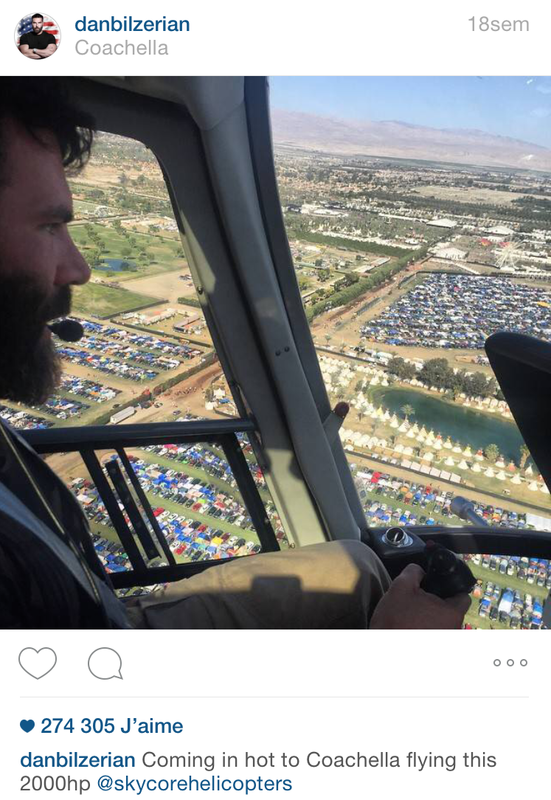 The King of Instagram — Dan Bilzerian who is amusing the crowds (11.7M people) with his girls and lifestyle but also doing regular endorsements or partnerships with car companies, weapons brands, helicopter manufacturers! It is not a big surprise that all the “classic” brands are now taking the dip and adapting to this amazing social network of people, hungry for pictures and videos, looking for the next post to like and share. Chanel, for instance, got 1.8 million followers in just a few days. 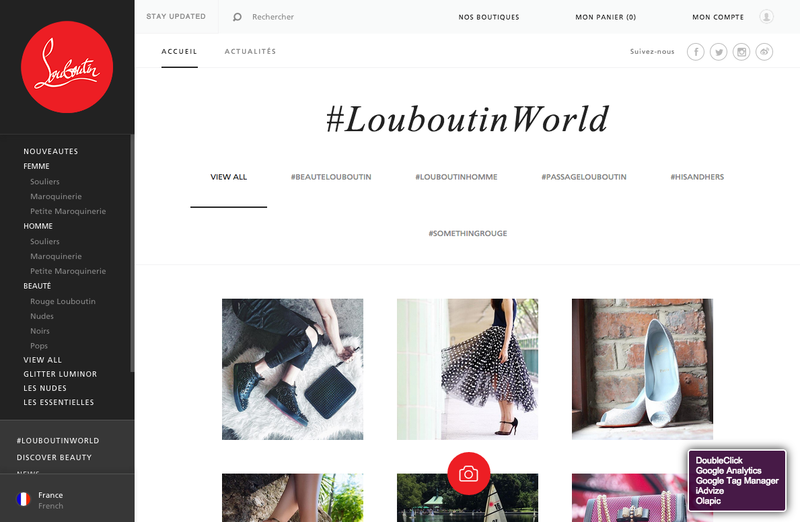 Christian Louboutin, one of the most prestigious shoemaker in France, added its Instagram feed at the center of its new online store. Olapic helps brands use consumer-generated pictures in their content strategies. 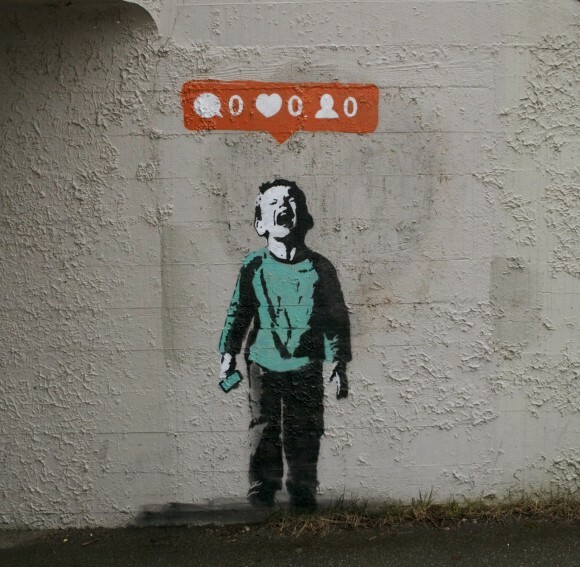 Why do we love Instagram? The average content quality on Instagram is high and super cool to watch. Instagram has reached 300MU, still growing, but I still like the content being shared. People can’t share 20 pictures in a single click like they use to do for facebook albums, they only share the best of it. For a product, or brand it is always nice to post its content in a global network were everything seems “beautiful”. It is super simple to use and content is “native” (people don’t feel they are looking at ads or promoted posts). Many brands are now uploading SLR quality pictures, but pictures taken and edited with phones work as well (50% of the iPhone used in the US are now being 6 or 6+ makes the average quality quite good). Instagram & Snapchat have educated the people watching content with a minimum of post-editing. People are used to see content that is taken “live” and they love it. Instagram features are very simple and viral-friendly for the pictures: like, comment, tag, share. The more you have followers, the more the picture is likely to be tagged by friends and shared. The reach is nearly 100%: people who open Instagram every day and multiple times a day. If you follow 300 accounts, it is still possible not to miss anything. If a company post content 3 times a day they will reach x3 more users. This reach efficiency is over since a long time on Twitter, Facebook, Pinterest,… and thus makes Instagram followers much more valuable than on any other network. Every artist, model, restaurant chef, music star, blogger, or even Yoga instructor is now on this network and can produce its own content wih a few taps on their phone. Everyone has its own “Instagram show” and communicates with its own audience that is much more transparent and identified than on any other website. People consume Instagram like a TV 20 years ago: multiple times a day, in the morning, at night and watch their favourite channels, in a very small, simple and unique square format. Some people say that it is already a substitute to youtube. How is it going to evolve? As of today, Instagram looks a lot like Facebook at its beginning: low regulation, not many distinctions between personal accounts and professional accounts, and full transparency or reach on the content posted. Facebook observed this year its first decline in the desktop ads revenue, and also proudly announced that they increased mobiles ads revenue by 80%. Instagram, being one of their biggest mobile product, still remains Facebook’s current biggest opportunity to keep growing fast. Big advertisers already had access to Instagram advertising platform but the self-serve ad platform is likely to be opened, like it happened for Facebook ads. 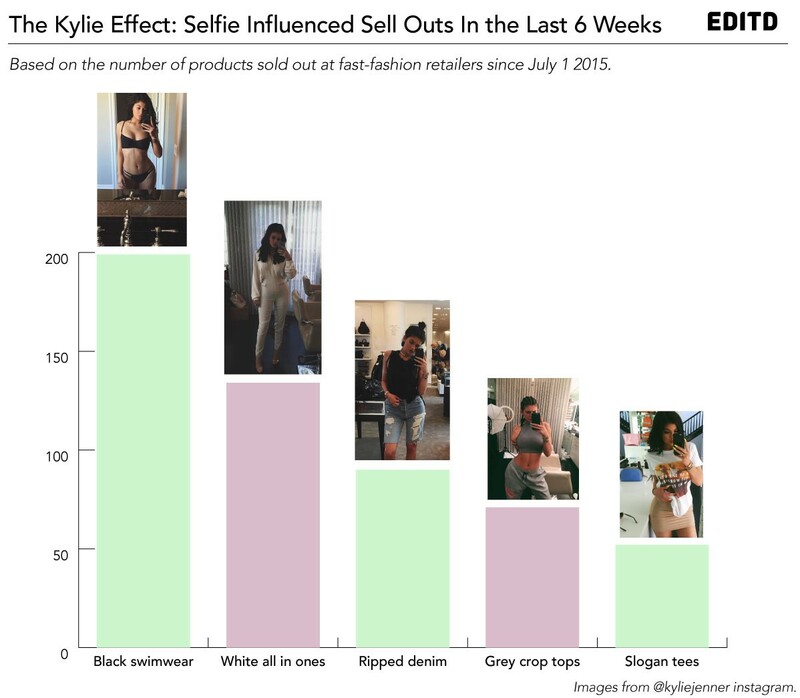 With more users, will Instagram stay that easy and profitable for not-sponsored content? How will ads impact the engagement experience of this app? Will the average content quality stay at the level we have today with more users? Should facebook add “shopping” features on Instagram, like Twitter was already said to do a long time ago? I would be happy to hear your point of view, and tell me all the Instagram-native brands I should add to the list! Passionate about innovative ventures, services & brands.